In this blog post, therefore, I’m going to describe the most recent IRS wealth statistics on the top quarter of one percent—they’ve been available for a couple of months—and point out some of most interesting features that pop out. But take a look at the table below. The table breaks roughly the top quarter percent of individual Americans (so individuals, not families) into six wealth brackets and then gives each bracket’s mean net worth. Note that the IRS statistics say that the mean net worth of the first wealth bracket equals roughly $3 million. Way below the Federal Reserve’s value. This seems interesting to me. And I wonder if the IRS’s statistics, which are based on nearly 18,000 estate tax returns filed by the wealthiest Americans, give rawer but more realistic numbers than the Federal Reserve’s survey, which samples around 6,000 families to generalize about a 126 million households, does. The IRS wealth statistics suggest the top quarter a percent make little personal use of debt relative to their net worth. The table above shows big numbers relative to the typical, middle-class household. That household earns on average about $60,000 annually according to government reports. But dig into the details and think in relative terms and things all sort of make sense and jive with Stanley’s work. You can’t say that everyone who owns their own business joins the top one percent or top quarter of a percent. (Roughly 28 million small businesses exist in the U.S.) But the IRS data makes one wonder if most of the people who join the ranks of the truly wealthy own an interest in a successful small business. First, I am pretty sure many in both the news and entertainment media exaggerate the affluence, consumption and the financial sophistication of the top one percent or top quarter percent. 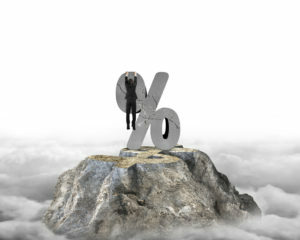 The post IRS Wealth Statistics Paint Fascinating Picture of Top One Percent appeared first on Evergreen Small Business.